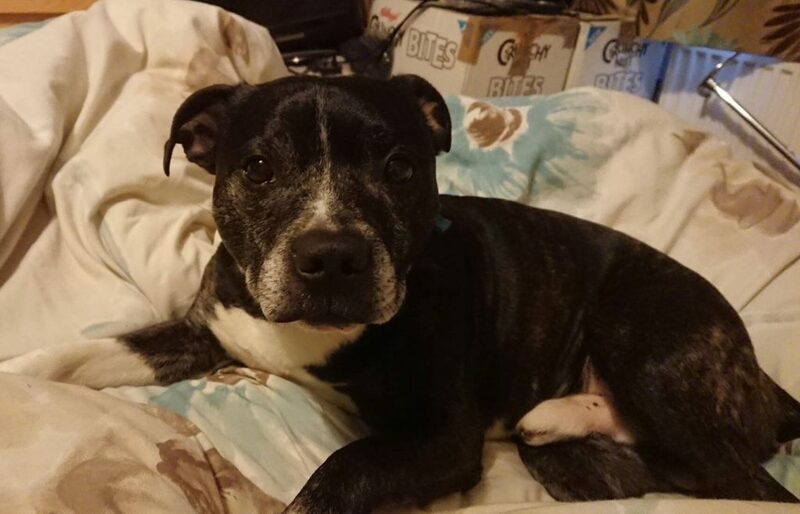 Charlie is a gorgeous little cheeky chappy Staffy who is 4-5 years old. He is a real character and is very loving and loyal. Charlie LOVES his toys and collects them all in his bed to keep them safe! He also will do anything for a treat and is very obedient when treats are involved! He knows his basic commands and commands such as ‘go to your bed’ – he is very clever and could learn lots more commands/tricks. 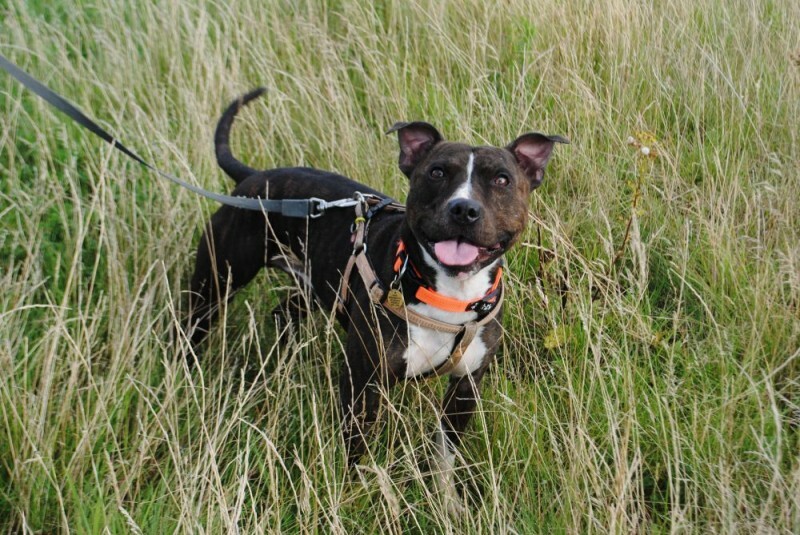 Charlie is quite bouncy, strong and energetic so would suit a home where he will get plenty of exercise who have experience of the Staffy breed, and no children under 16. He is great around the house and is housetrained, fine to be left for a few hours and doesn’t chew anything he shouldn’t (but does love to chew his toys! ), he also travels well in the car. Charlie is quite strong on the lead at the moment, but with a good routine and plenty of regular exercise he will get much better with his lead walking. 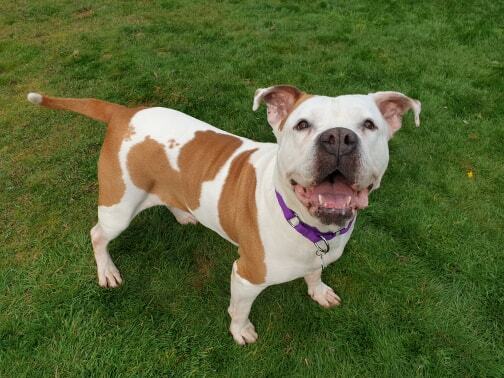 He is fine with other dogs out on his walks, but would ideally like a pet free home so that he gets all the attention (and toys!) to himself. 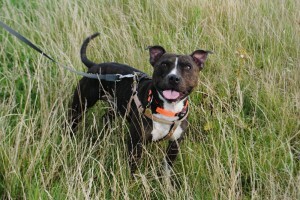 He is a fantastic little lad and will make the most loyal, loving companion.